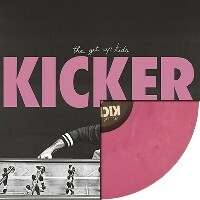 On the strength of five records (including seminal debut Four Minute Mile and bona fide classic Something to Write Home About), The Get Up Kids have toured the world over and sold more than a million albums. The Midwestern five-piece defined a genre and inspired a generation of musicians in their wake. With Kicker, the band triumphantly returns to form after a brief hiatus with four new songs, an extensive line-up of shows, and plans to release a much anticipated full-length album next year.